oh.my.gosh. Matchsticks too. Now I'm really impressed. !! And your not permenently cross eyed after doing these? I'm having a blast looking through your galleries. Those are cool. Well done! Wow. Now that is impressive. All your stuff is great but that looks like a lot of effort and skill. Thank you all. To carve these I have to wear cheaters to see what I am doing. I'm impressed. 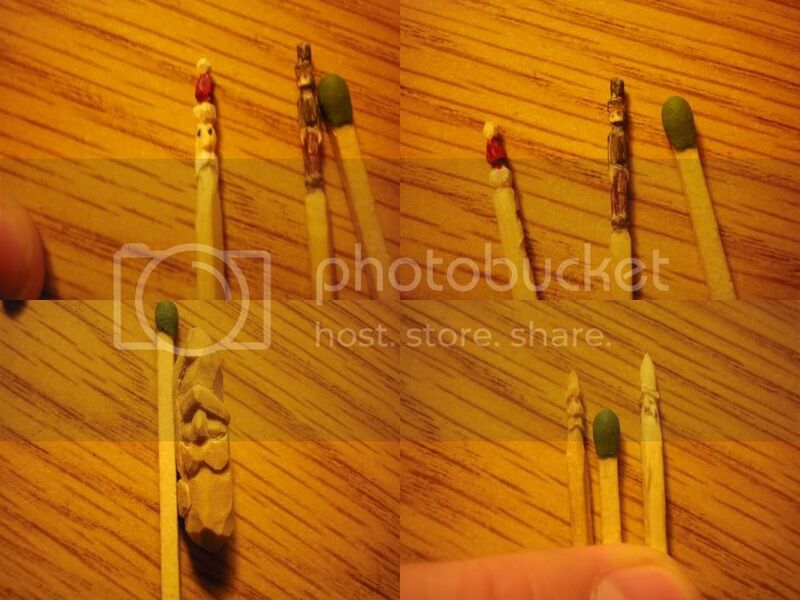 I can't believe the detail in that thin matchstick! The Santa in the lower left corner is actually huge! It was a piece of 1/4" x 1/4" square poplar.